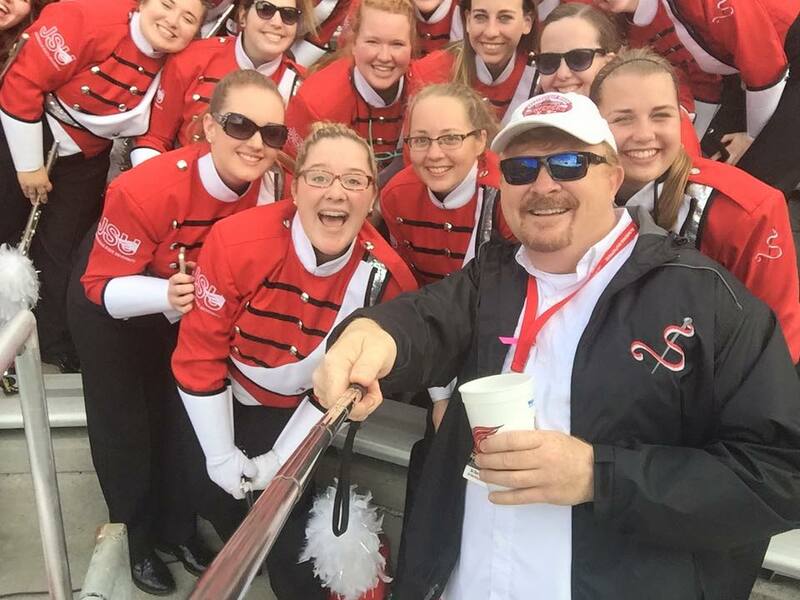 Today we are taking you down to Jacksonville, Alabama to hear about what's in store for one of the most beloved band programs in the country, the Jacksonville State University Marching Southerners. We sat down with long time Director Ken Bodiford to get the inside scoop on what's in store for this power house band in 2016. How many years is this now for you at JSU and what are you looking forward to the most this season? I will be starting my 23rd season as the Director of Bands with The Marching Southerners this year. I am very excited about this year's show. I love patriotic productions and I think that "Heroes Lost and Fallen" is going to be a very moving production for our fans! This show not only pays tribute to those that have lost their lives defending our country, but it honors the two founding fathers of The Marching Southerners. Both Dr. John Finley and Dr. David L Walters passed away in the past year. These two men started the program back in 1956. The freshmen start camp this Friday, August 12, 2016 and all of the vets return on Sunday, August 14, 2016. Each year I look forward to that first meeting with the full band....it is like a huge family reunion. The students are always so excited to be back on campus and ready to start the new season. At that first meeting we always have several of our Charter Members (1956) return to bid the new band good luck. But the most exciting moment is when The Southerners play "Stars Fell on Alabama" and "Salvation is Created" for the first time. The beautiful rich sound of the band embraces you and covers your skin in goose-bumps! Where will the full band be traveling this year? Any other special performances? The Southerners will be traveling to the LSU vs JSU game this fall and will be performing at halftime. In December, the band will be traveling to Pearl Harbor on the island of Oahu, Hawaii to play for the 75th Anniversary of the bombing of Pearl Harbor. If there was one other band in the country that you'd love to host at JSU who would it be and why? Who will you host this year? You know, we love to host any band. We love to have other college bands visit our campus. It is always great fun to see other styles of marching bands. This year, UNA will be bringing their band to the opening game of the season. What are two fun facts that students/fans don't know about you? Well first, I love the ocean and being close to water....I absolutely love visiting the west coast. Second, I am addicted to Q-Tips! What does it mean to you to come to work every day in this role? It is such an honor to be serving as the band director at JSU. Since I am an alumnus of JSU, this university and especially The Marching Southerners holds a very special place in my heart. When I was an undergraduate student at JSU back in the late 1980s, I served as the drum major of The Marching Southerners for three years and marched as a member of the 20J (tuba) section my freshman year. What do you hope the students take away from their time in band? I hope that the students always remember the close "family" feeling that they experience as a member of The Southerners. The Southerners are a very special group of people....it is a big melting pot of diversity. It is composed of people from different races, religions, ethnicities, sexual orientation, etc... and it is a safe-haven for all. Everyone in the band is family and are accepted for who they are.... A Marching Southerner. It is a wonderful organization that not only teaches people how to be great performers, but it also instills the band's number one motto into every members soul....."Be Kind to One Another, It's Very Important." (This was taught to the band many years ago by former director Dr. David L. Walters, and it is passed along every year to each new freshman class).